The Youth Council of the French part of Belgium (CJCF) has 15 places for a training and planning week-end before the 18th United Nations Climate Change Conference (COP18) which will be held from 26 November to 7 December 2012 in Doha, Qatar. The weekend will be held from Friday 19th to Sunday 21st October in Brussels, Belgium. There is funding available for accommodation/food and travel expenses (up to 70%) from the Youth Council of the French part of Belgium (CJCF). This is for European nationals only (either inside or outside of the EU) and to be eligible, applicants must be intending to go to Doha. To apply, just fill in the form on the following link: https://docs.google.com/spreadsheet/viewform?formkey=dHJ3amNVN2duS05jNGhVMlFqSlVwYXc6MQ#gid=٠ and then wait for the final list of selected applicants ! Note that the deadline is this 20th of September. Sorry for the short notice and hope you are able to apply on time ! 1) To get to know each other better to stand stronger and united in Doha. This also includes a better awareness and mutual understanding of different views of young people from different countries. 2) To empower European youth by being better informed about international climate policy. According to us empowerment is a prerequisite for active citizenship. 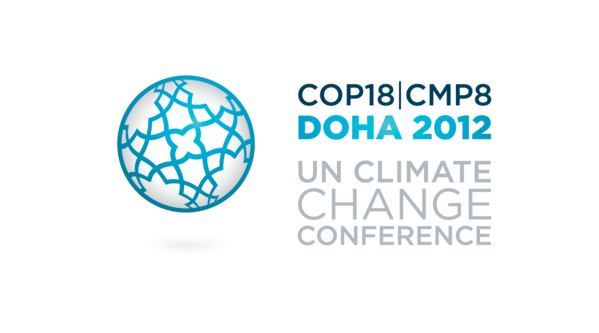 3) To define a common strategy for youth participation in Doha, where the United Nations Conference on Climate Change (COP18) will take place this year. On Friday afternoon the agenda will be introduced and the participants will express their hopes and fears, potential contributions and expectations followed by a 'climate speed date' where everyone can interact with each other. Next, a 3 hour session on climate will be given by an expert. After that there will be a short briefing on the simulation of the climate negotiations that will take place on Saturday morning. On Saturday afternoon there will be an information session on YOUNGO, the International Youth Climate Movement at the UN. After that power point presentations of some national climate networks will be given. In the evening there is an (optional) climate game. On Sunday morning and on Sunday afternoon each participant selects a topic (adaptation, mitigation, etc) he/she wants to focus on from then until the UN climate summit. After the selection, the participants who have chosen the same topic will sit together to define a common strategy and an action plan. Finally there will be a wrap up and evaluation. Please note that my own organization, Actions Vitales pour le Développement durable (AVD), which is a Non-governmental Organization (NGO) admitted as observer to the UNFCCC process is providing young people interested to participate in the COP18 with accreditation for one or the two weeks negotiations. If you are looking for accreditation (as citizen from any country in the world) please fill in this form by the 1st October at midnight GMT: http://www.surveymonkey.com/s/395VF56 But please note that we can't guarantee that you will be accredited with us. We also do not provide funding to participate !